Here are some Sims 3 Store T-Mobile living room things for The Sims 2. 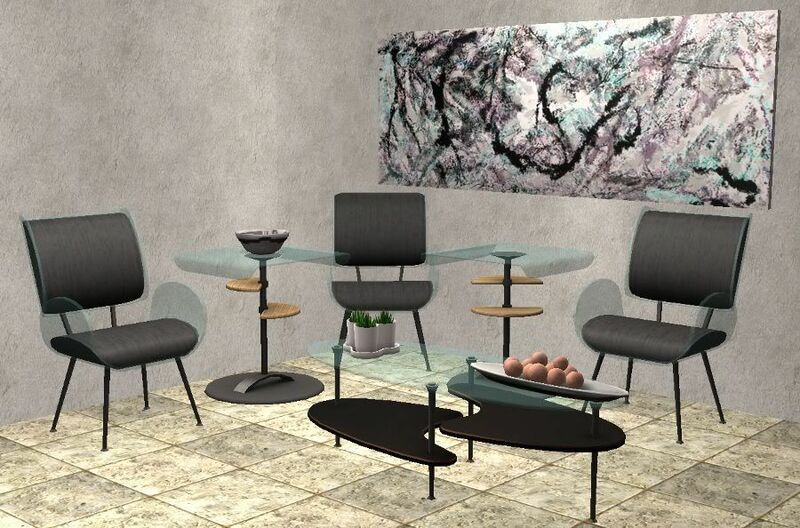 Included in the set is a living chair, an end table, and a coffee table. Finally updated the link! Thanks so very much anon! Enjoy! Link doesn't work. Could you reupload this set, please? I don't have it anymore. Unless someone uploads the file, I have no way of restoring it. Link is updated! Thanks so much anon!